There are a lot of aspects that make the Note series unique, and one of those has long been huge batteries. The Note 7 had the largest to-date in 2016 at 3,500 mAh, but after those started exploding and catching fire, Samsung decided to play it safe in 2017 by kicking things down to 3,300 mAh in the Note 8. This year, however, Samsung might start going back in the right direction. According to Ice Universe on Twitter who’s been fairly accurate about Samsung rumors in the past, they’re “100% sure” that the Note 9 will come with a 4,000 mAh battery. We’ve been talking about the Galaxy Note 9 for months at this point, but up until now, we haven’t had a definitive idea as to what the phone will look like. Thankfully, 91Mobiles partnered with @OnLeaks to scratch that itch for us. 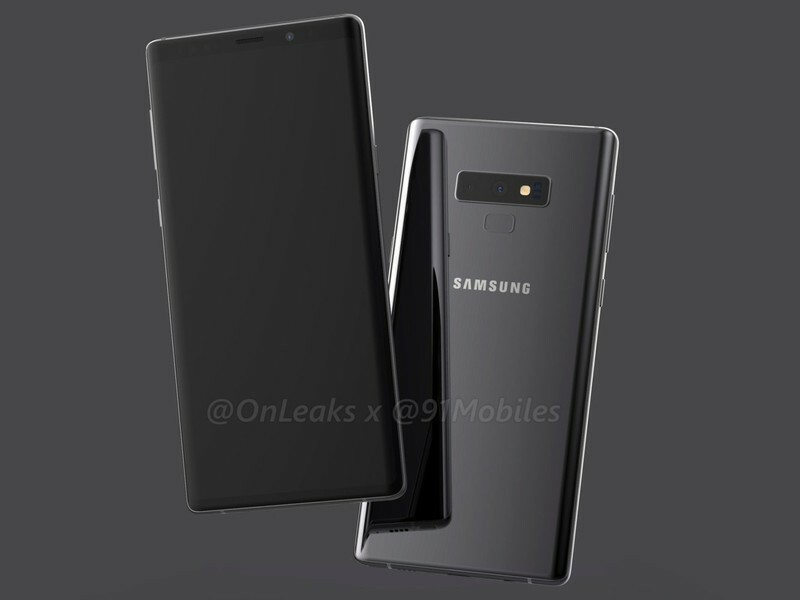 As you can see in the video above, the Note 9 will look very similar to last year’s Note 8. The front will be home to a large, notch-free Infinity Display while the back houses two rear cameras and a fingerprint sensor. The way the cameras and fingerprint sensor are positioned is slightly different compared to the Galaxy S9, but even so, there’s no mistaking this for a modern Samsung phone. The bottom frame also shows a slot for the S Pen, USB-C port for charging the Note 9, a speaker grill, and 3.5mm headphone jack.